Hot Plates for End Cap Curing applications are available in maximum hot plate lengths of 950mm and widths of 500mm. 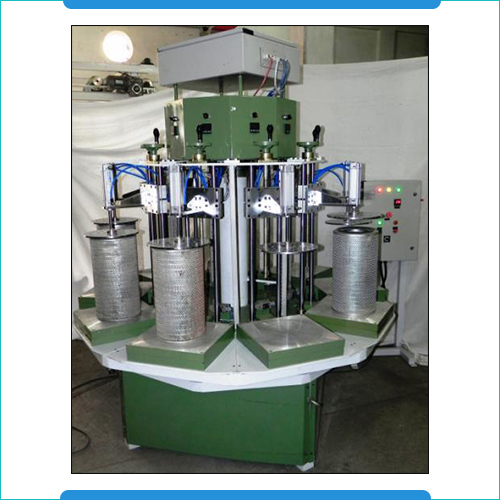 Further, the maximum outer diameter for capping the machine is of 460mm. The system is also provided with aluminum casting heaters to achieve uniform distribution of heat and alarm system for indicating the completion of the cycle. Some of the other features of these end cap curing hot plates include digital temperature indicators & controllers, mild steel fabricated structures and latest technology based control panel for precision handling of involved operations. Max length of hot plate 950mm. Max. 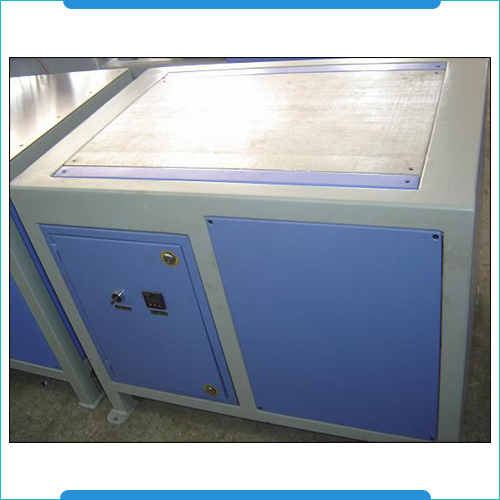 width of hot Plate 500mm. AL. casting heaters for uniform distribution of heat. Alarm to indicate the completion of the cycle. Hot plate fitted with digital temp indicator & controller. We offer our client with a wide assortment of Rotary Hot Plates, which is manufactured in accordance to the international quality standards. These are offered at market leading prices and are also available in customized specifications and details provided by our clients. We also ensure to meet each and every demand of our valued clients and deliver the consignments within a well defined time frame. Coming with option of 9 stations, these feature nine aluminum heated surfaces of 380 x 380mm with maximum cap diameter of 350 mm, height of filter of 500 mm and top pressing cylinder stroke of 100 mm. Further, each of this hot plate has wattage of 2000 Kwatts and come insulated from bottom so as to avoid any possibility of heat loss. With operating power requirements of 3Ph, 440V, 50 hz, 12kwatts, these come with latest technology based control panel so as to efficiently manage involved process operations. Nos. of stations  9 nos. Al. Heated surface  380 x 380mm  09 Nos. Maximum cap diameter  350 mm. Maximum height of filter  500 mm. Top pressing cylinder stroke  100 mm. Each Hot plate to have wattage of 2000Kwatts (Qty-09 Nos). Each hot plate is insulated from bottom to avoid heat loss. Power: 3Ph, 440V, 50 hz, 12kwatts.